Hello crafters! 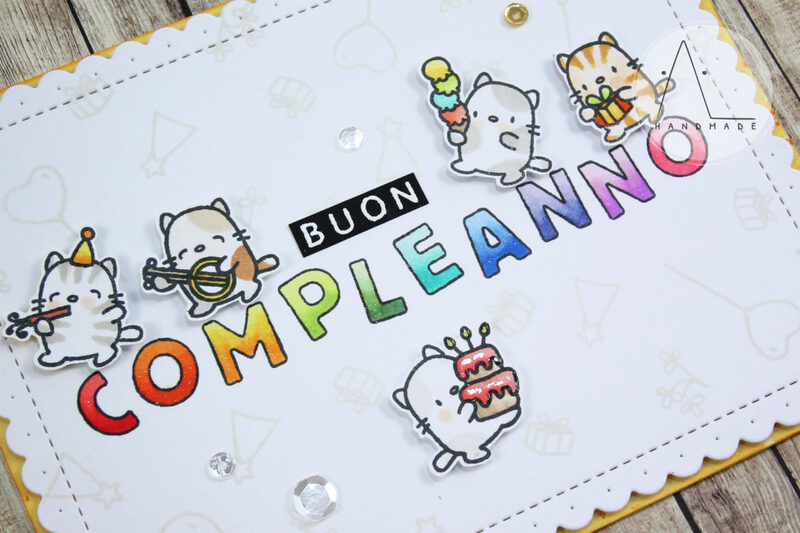 Today I’m sharing a cheerful birthday card I made for my grandmother’s 90th birthday (that’s the reason for the unusual italian sentiment). I designed this card using some of my favorite products from Mama Elephant. I stamped the little kittens with Memento Tuxedo Black ink and colored them with Copics. This is probably one of my favorite cat-themed stamp set of all time! Love all these little funny friends!! I stamped the sentiment directly on my front panel with Memento Tuxedo Black ink, using the Hollow Letters stamp set, and colored each letter with Copic markers. 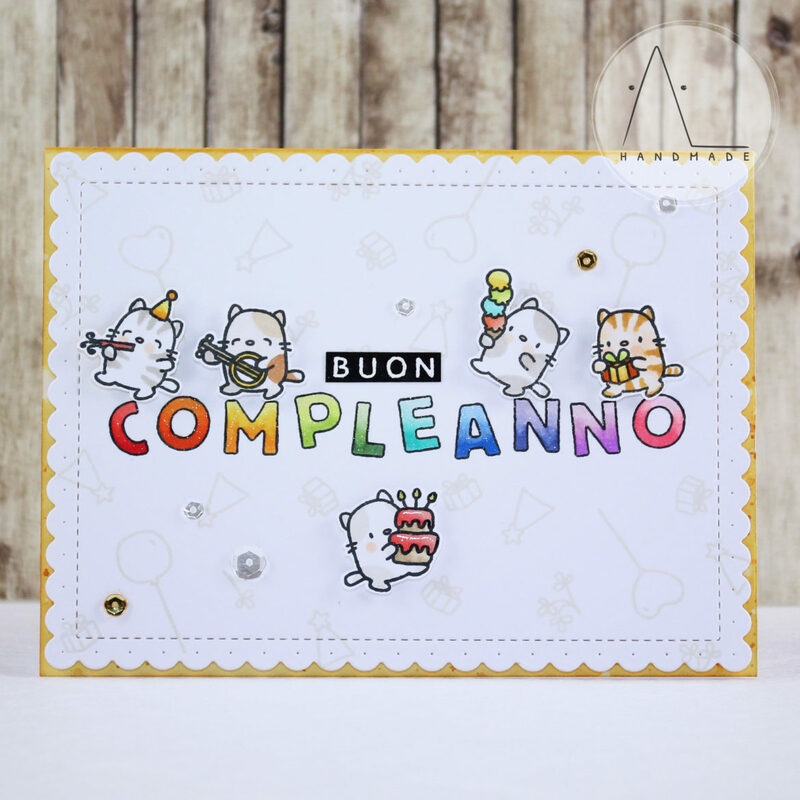 As I wanted this card to be bright and festive, I used brillant rainbow colors adding a shiny touch of Wink of Stella to the colored letters. To complete the background and enrich the scene, I stamped some party elements from The Cat’s Meow stamp set with Evening Gray dye ink by Altenew. Finally, I die cut my front panel using Framed Tags – Chelsea – Creative Cuts and mounted it onto my card base, which I previously ink blended with some Wild Honey Distress ink. As final touch, I added a bunch of sparklinkg clear sequins here and a couple of golden ones, too.